Probably you have already read the previous page “The interior of Gran Canaria”. The internal discovery of this island requires a lot more than one web page. From here I will take you further into the heart of Gran Canaria. Forget your camera and video camera is not when you go to Tejeda. 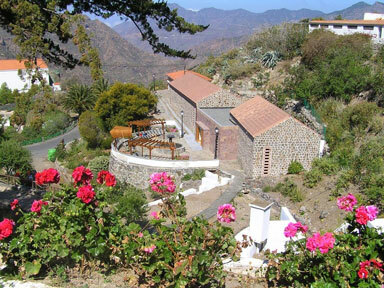 The village of Tejeda is probably one of the smallest villages on the sunny holiday island . 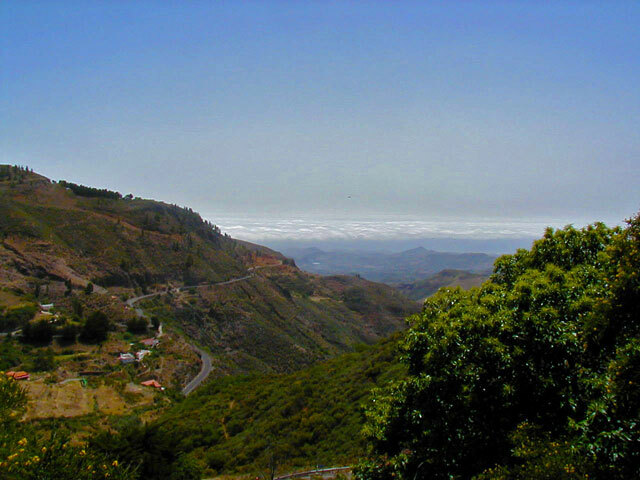 The village is located at 1,000 meters above sea level and is hereby the highest part of Gran Canaria. The village of Tejeda is characterized by its white houses surrounded by almond trees. Also here you will find some shops where you can buy local produce. The specialty is marzipan with honey and almonds. 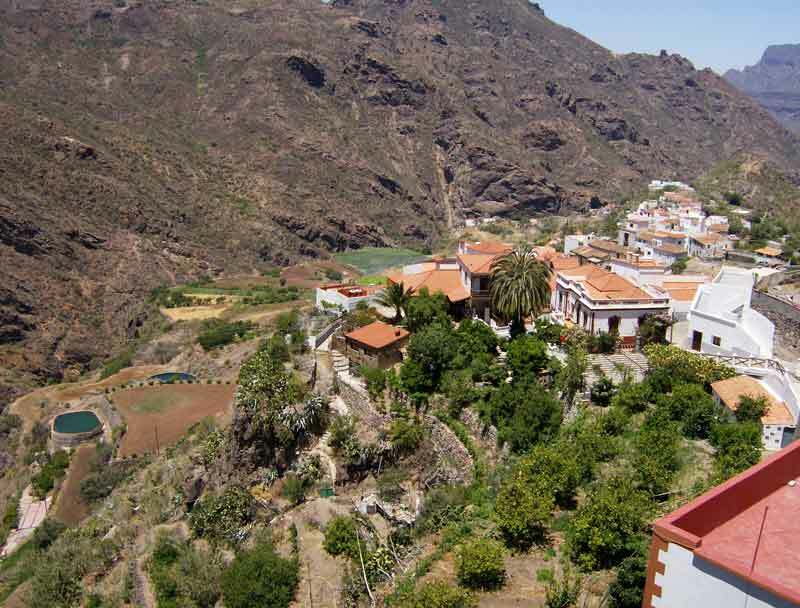 The village of Tejeda is small, but the area is once so great and wonderful. 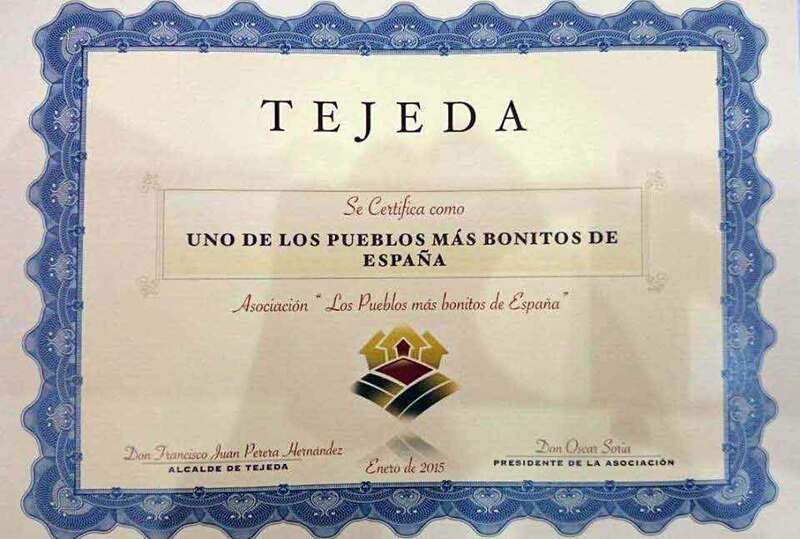 The most famous is “Cruz de Tejeda”. This public attraction is located to the north of the village. The stone cross stands at an altitude of about 1500 meters. You are here at the Cumbre massif. 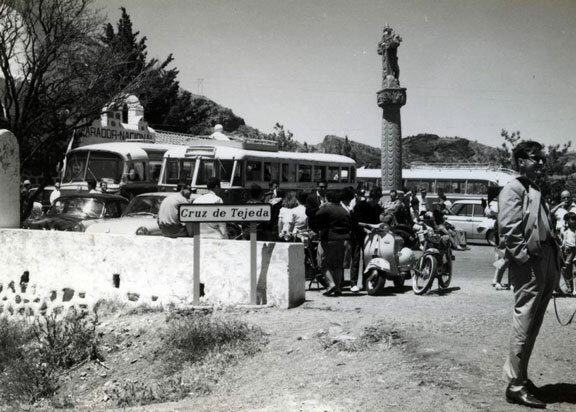 Just as all roads lead to Rome, all roads lead here to Cruz de Tejeda. 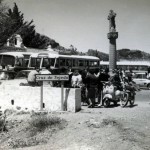 At the Cruz de Tejeda just be in habit to receive tourists. There is also plenty of entertainment such as a ride on a donkey, what kids will surely appreciate it. In the heart of this tourist town there are shops and stalls where you can buy souvenirs and local produce. Especially the nice artisan mountain honey you should certainly try these , this honey is good for the heart and health. Are you in the mood for a cup of coffee, a local specialty such as cheese or snack, or do you prefer to dine in a restaurant, it’s all there. You will notice that the view at this point gives stunning panoramic images. In good weather you can see the “Pico de las Nieves” with a height of almost 2000 meters. If you’re lucky, you may notice the island of Tenerife. Also on Gran Canaria in the mountains can change the wheater quickly. One minute it can be sunny and warm, the next moment you’ll need a warm sweater . 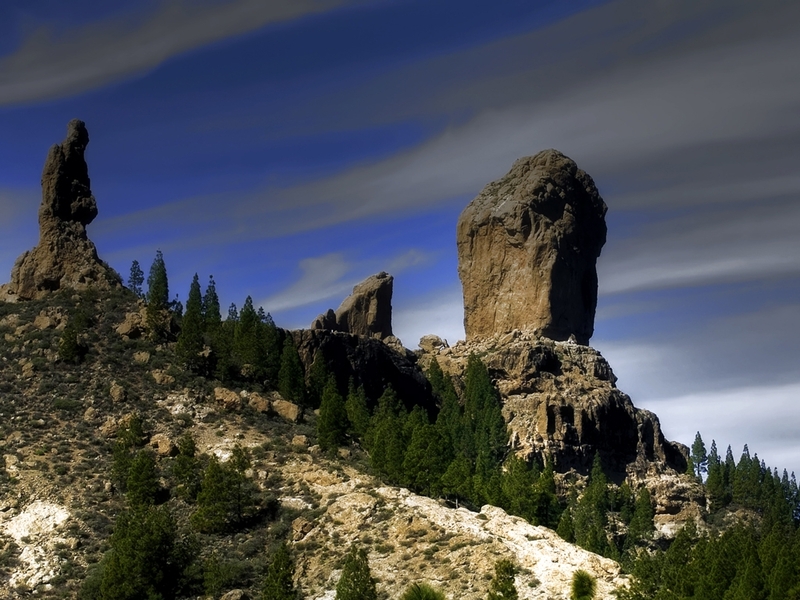 At the same territory of Tejeda is perhaps the main attraction of the island, Roque Nublo. This monolith is with a height of 80 meters a natural phenomenon caused by a volcanic eruption. The rock is characterized by beautiful contrasting colors. 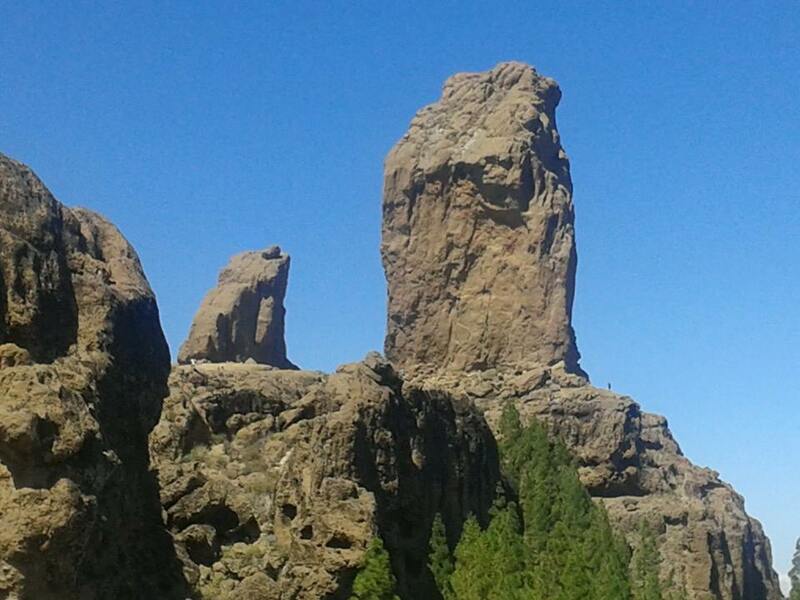 From Cruz de Tejeda you have a wonderful panoramic view of the world famous rock. Roque Nublo is situated at an altitude of 1813 meters. If you come by car there is parking provided. A walk up to Roque Nublo from the parking you must quickly counting climbing on an half hour. 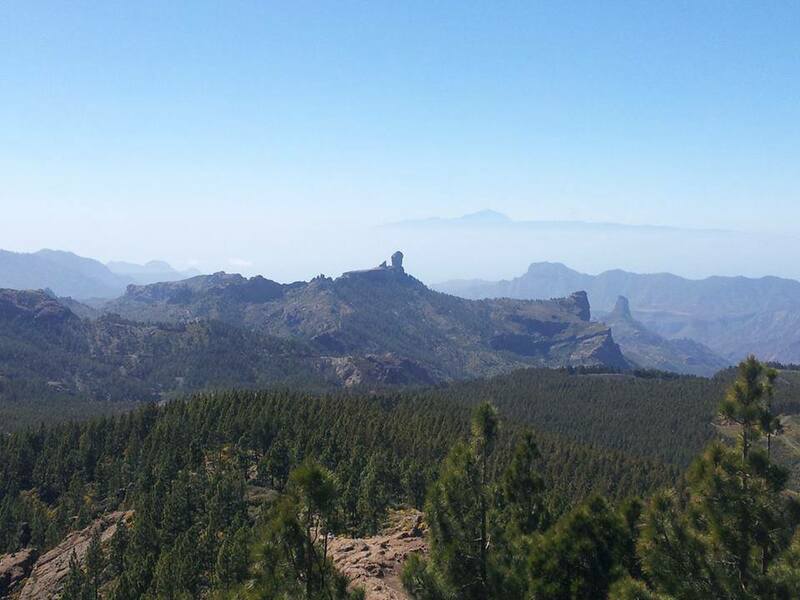 On top of Roque Nublo is the view of Gran Canaria incredibly beautiful. If there are no clouds then you can be seen “El Teide” on Tenerife. Atop one of perhaps the most beautiful sights of the island seems like you can touch the sky. What stands out the clicking of cameras is the silence. Provide you in advance of good shoes, water and a sweater for when the weather is not so good. Tejeda and area is known by hikers, mountain bikers and climbers. 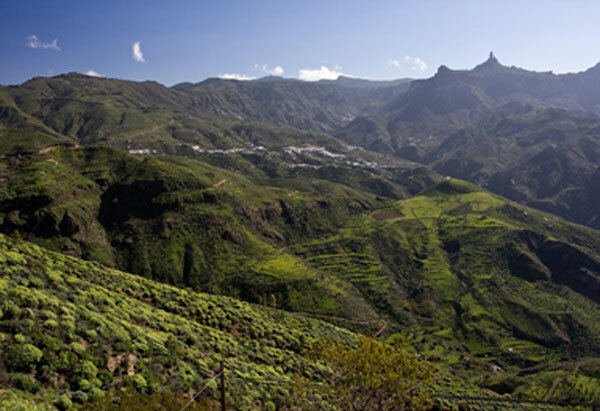 The landscape around Tejeda is also breathtaking, especially not let your heart get to a short or long walk. Some of the trails are centuries old. The original paths are of the former inhabitants (Guanches) of the island. Freaks of nature and history been coming here more than they needed. The surroundings of Tejeda is surrounded by corn fields, orchards and vegetable farms, and not to forget the almond trees. History lovers can discover archaeological remains such as caves, tombs and petroglyphs. 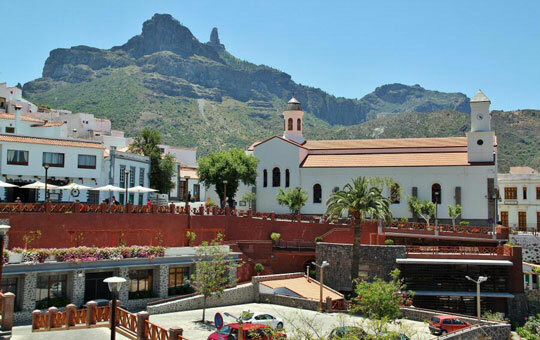 In the village Tejeda itself there are two museums and an informative center, such as “Museo de Esculturas Abraham Cárdenes” where you can observe among other sculptures, exhibit space, paintings and photography. The image of a sculptor arts they come from Tejeda. This museum is open daily. The other is a “Ethnographic museum” where you get a beautiful picture of the rich history of Tejeda and its surroundings. This museum is closed on Mondays. Are medicinal plants for you a hobby, then I can certainly recommend the “Centro de Plantas Medicinales“. This center has an ornamental garden, herb garden and you can taste herbal teas and coffee. 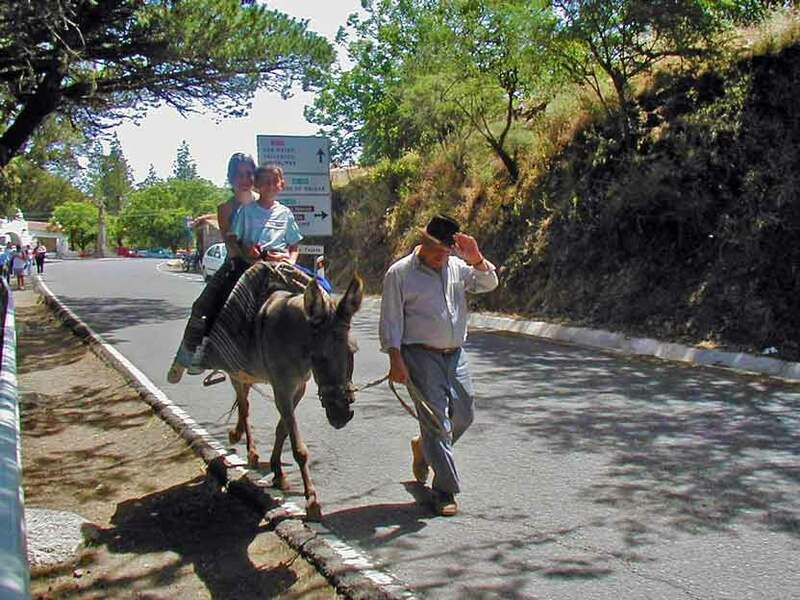 Cruz de Tejeda is accessible by car, bike, but also by public transport. You come in Tejeda by bus No. 303, 305 from Las Palmas or bus No. 18 from Maspalomas.